The GRAS 67TS-1-CL Turbulence Screen Kit is designed for aeroacoustic testing in solid-walled wind tunnels. By attenuating the hydrodynamic component of turbulence up to as much as 25 dB, the acoustic signals of interest can be identified and diagnosed with a much more reliable resolution. The flush-mount turbulence screen integrates the flush-mount and recessed mounting techniques with a special wire mesh into a single unit, and allows for adaptation of several mounting options. 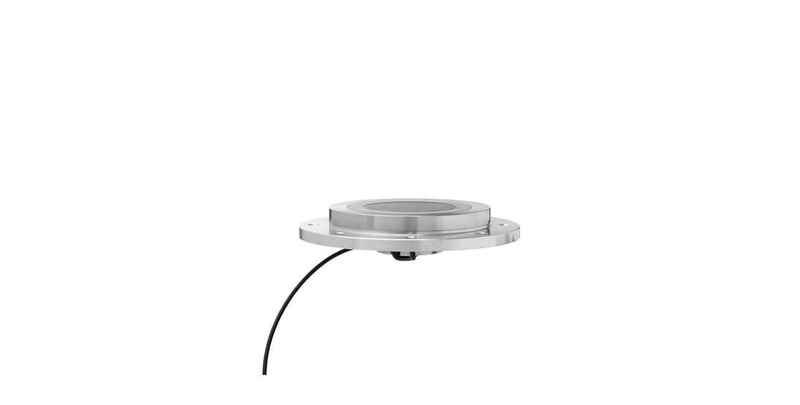 The included GRAS 47BX-CL 1/4" CCP Flush-mount Microphone Set can be attached to the assembly either with a “rubber band” (O-ring) or a holder plate of POM-material. The parts necessary for both methods are included. The microphone set has an integrated, customized length cable terminated with a Microdot connector. An adapter to BNC is included. When ordering, please specify the required length in cm. As “default” the complete assembly will fit in a flat wall with 4 mm thickness. A hole with diameter 44 mm must be provided. It is possible to attach the assembly using glue. For mounting with screws, the 67TS is provided with 4 unthreaded holes with diameter 3.1 mm. You are always welcome to contact GRAS for advice or regarding customization. As a downloadable spread-sheet, we have published the frequency/incident angle dependent correction factors and the resulting graphs. See under Downloads/Other. To perform as specified the GRAS 47BX microphone set requires a constant current input module that can deliver 4 mA and 24 V unloaded CCP voltage supply. If the constant current supply is lower, the capability of driving long cables is reduced and consequently the upper frequency is reduced. If the voltage supply is lower it will influence the upper dynamic range. The cable of the microphone set is terminated with a 10/32 UNC microdot male connector. An adapter that converts to BNC male is included. Suitable coax cables of various types and lengths are available in standard as well as customized lengths. The 47BX is IEEE 1451.4 TEDS v. 1.0 compliant. If your measurement platform supports Transducer Electronic Data Sheets you will be able to read and write data like properties and calibration data. Before leaving the factory, all GRAS microphone sets are calibrated as a unit in a controlled laboratory environment using traceable calibration equipment. The sets are delivered with calibration charts including sensitivity values and frequency response graphs for the complete set. You can use the sensitivity value directly in your system setup. Depending on the use, measurement environment, and internal quality control programs, we recommend recalibrating the microphone set at least every second year. The graphs illustrate the effect of the GRAS 67TS Turbulence Screen on boundary layer turbulence measured at different laminar flow speeds. Y-axis is the turbulence level in dB SPL and the X-axis is the frequency in Hz. The red line is the result without turbulence screen, the blue line is the result with turbulence screen. The turbulence level is up to 25 dB lower with the turbulence screen (depending on the wind speed). The measurements have been made in GRAS's wind tunnel with a GRAS 47BX-CL Flush-mount microphone. Turbulence Screen Assembly, parts for mounting, USB flash-drive with calibration data, drawings etc.